Restoration of the underlying, natural tooth shade is possible by simply removing surface stains (e.g. from tea, coffee, red wine and tobacco) and calculus (tartar). 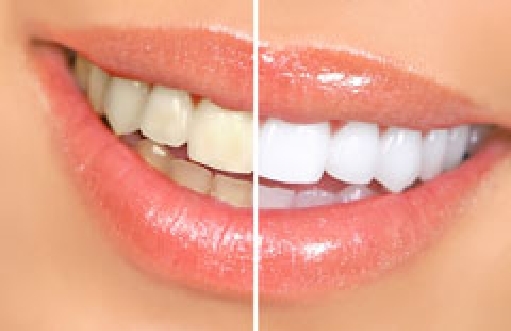 This is achieved by having the teeth cleaned by a dental professional (commonly termed “scaling and polishing“), or at home by various oral hygiene methods. Calculus is difficult to remove without a professional clean. Since the bleaching gel is made mostly from peroxide, there are no remarkable side effects. Some people may experience tooth sensitivity and irritation of the gums for a few days.In rare cases adisensitizing agent may be applied in order to eliminate tooth sensitivity.